A $106 bln AstraZeneca bid would deliver savings. But drug mega-deals create little value. Pfizer could’ve bought most of the top biotech firms instead of Wyeth, its last acquisition, and had higher returns. Buying stakes in innovative companies is a preferable route to riches. AstraZeneca on May 2 rejected a “possible offer” by U.S. rival Pfizer of $106 billion in shares and cash. The proposed offer would value AstraZeneca at 50 pounds per share, comprising 1,598 pence in cash and the remainder in stock. The proposal represents a 39 percent premium to AstraZeneca’s Jan. 4 price, the day before Pfizer’s first approach to the company, and a 7 percent premium to that proposal. 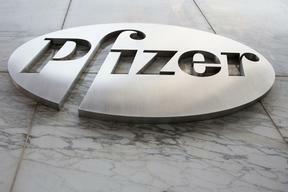 Pfizer has bought three major rivals in the past 15 years. It paid $90 billion for Warner-Lambert in 2000, $60 billion for Pharmacia in 2002, and $68 billion for Wyeth in 2009. Pfizer’s market capitalization is $198 billion.